A huge range of user-customisable options are available for this range. 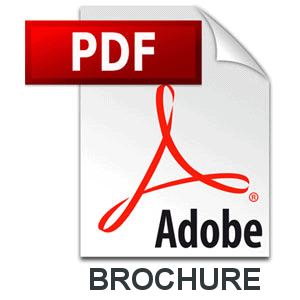 Please visit our Support/Downloads page to download Brochures and User Guides for 2000 Series instruments. The 2000V is a variation on the standard 2000T tachometer. It measures the time between pulses generated by an object passing between two sensors and from this calculates the velocity of the object. The two pulses are usually applied to input A (I/P) and input B (I/P) - terminals 10 and 12 on the rear of the instrument, although it is possible to combine the two signals and apply them to input A only. 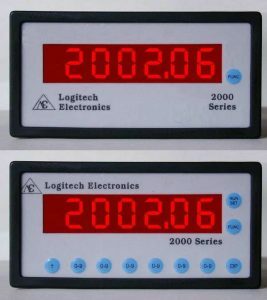 The 2000CT is designed to accept a pulsed signal from either one or two sources and the display can be switched to show the rate of the input signal or the total count as and when required. Both options are continuously monitored and either may be instantaneously selected by pressing a button on the front panel. A high and low alarm can be set for the rate value and the appropriate output will be activated when the value falls outside either limit.